An overdue post on the 79th Pennsylvania at Stones River. Be sure to also read accounts of the battle on the "Battle Files" page. After successfully checking the Confederate invasion of Kentucky at the Battle of Perryville, the Union army pursued the Confederates south and celebrated Christmas in Nashville, Tennessee. Under pressure from Washington to create positive headlines after the disaster at Fredericksburg, Gen. William S. Rosecrans, the new commander of the Union army which was renamed the Army of the Cumberland, led his army out of its camps at Nashville on December 26, 1862. 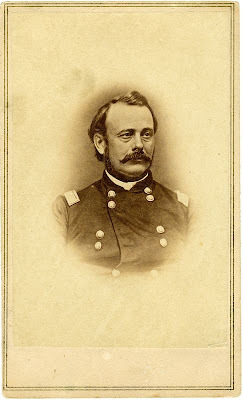 The 79th Pennsylvania found itself towards the rear and center of the army as part of Col. John C. Starkweather's brigade of Maj. Gen. Lovell Rousseau's division of Maj. Gen. George H. Thomas's center wing. 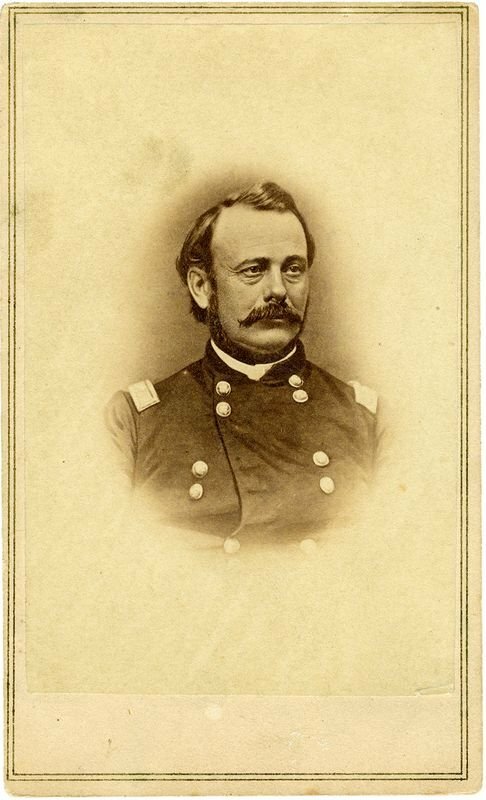 The Lancaster County Regiment experienced its first excitement of the campaign on December 30 when Confederate Gen. Joseph Wheeler's cavalry brigade attacked the wagons of Starkweather's brigade. 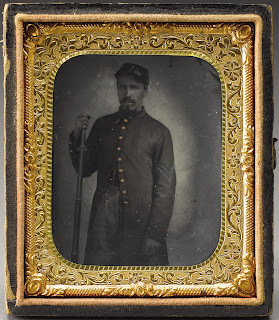 The Fortunately for the Pennsylvanians, luck and Quartermaster Lewis Zecher's good management saved the regiment's wagons from capture, and Starkweather ordered a countermarch and formed his brigade to drive off the Confederate cavalrymen. 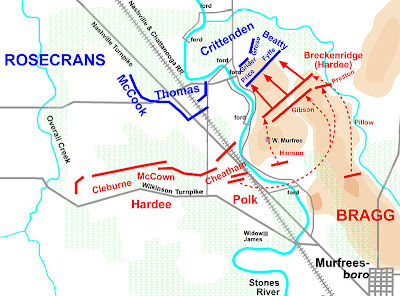 Starkweather then proceeded to the battlefield the next day--December 31, the first day of the Battle of Stones River--passing bands of Union soldiers retreating from the battlefield who spoke of disaster. Sergt. Sigmund E. Wisner wrote that although the Lancasterians were skeptical that the battle was lost, the men marched silently and "despondency was depicted upon each countenance." The brigade arrived on the battlefield in the evening, taking a position in woods in the center rear of the Union lines where they would spend the night without blankets or fire. New Years Day passed without either army making a move. Starkweather's position changed little, occupying wooded terrain between General Johnson's division and the Nashville and Murfreesboro turnpike. at the Union center near the Nashville Turnpike. Shortly after dawn on January 2, Rousseau's artillery came under fire and Confederates began to stir across from the Union center. Starkweather's brigade was ordered up to the front lines to support the artillery. While moving forward to this position, a rebel artillery shell tore through Company G, killing Corp. Mark Erb and wounding Pvts. Samuel Pickel and Isaac Quigley. The 79th Pennsylvania spent the rest of the day lying in deep mud behind Battery A, 1st Michigan Light Artillery. Blankets and rations were scarce, and almost every account of the battle mentions how they survived the couple days on meat from the dead horses. Several of the accounts even reviewed the meat as surprisingly good. 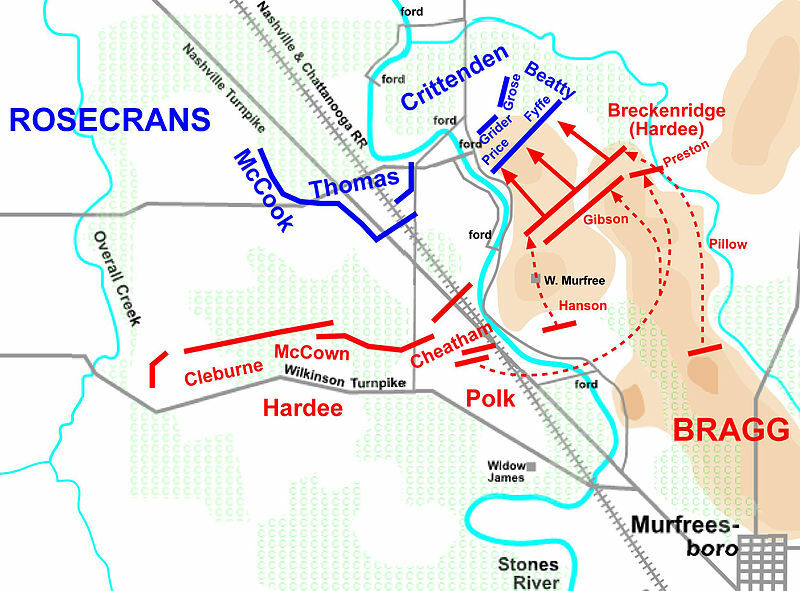 Elsewhere on the battlefield, Confederates attacked the Union left but were decisively repulsed by a line of artillery and Union counterattack. Companies C, E, H, and I, 79th Pennsylvania, spent a quiet but nervous night on the picket line, enduring cold and rain without fires. As dawn broke on January 3, the Lancasterians were surprised to find that Confederate infantry and artillery had advanced overnight, and began to open fire on the 79th Pa pickets at an uncomfortably close distance of 300 yards. Three men from Company E were wounded in the retreat back to the main line, which now occupied (along with knee-deep mud) trenches dug by army engineers. Later that day, as one of the last actions of the battle, Starkweather's brigade supported an effort led by Rousseau to clear the woods to their front of annoying sharpshooters. As the 79th Pa advanced toward one group of sharpshooters, Pvt. John Shroy of Company A was killed. That night, Confederate Gen. Braxton Bragg withdrew his Confederate army from the battlefield, fearing additional Union reinforcements and the threat of a rising river that could split his command. Rosecrans moved his victorious army into Murfreesboro, where it camped for most of the rest of the winter and spring. The space between the town [of Murfreesboro]and our lines was won inch by inch, crawling now, and now charging through a sheet of flame. Many a brave men fell merely in gaining a few furrows. All the area of strife was covered by sharpshooters, and in the din of conflict their rifles were unseen and noiseless messengers of death. A convulsive plunge, and a stretched corpse with a little red spot in the forehead told the tale. Somebody had fallen, as unconscious as his neighbors of the direction of the fatal ball. All the fighting ground, for the most part ploughed fields, was ancle deep in mud, or worse. Charging was no more an impetuous dash, but just a steady march into the jaws of death. On this slippery, swimming ground, we had to eat and sleep. In the centre the approaches were covered by trenches dug secretly, and occupied by night. These, of course, under the rain became knee deep in a few hours with cold and dirty water, but in them night and day lay our indomitable troops, relieving each other, regiment by regiment, in the night. Too low to stand up in, to wet to sit down in, the wretched occupants had to remain bent and strained, or to kneel over thighs in water. A single peep over the embankment was a signal for a dozen bullets. In our eyes, scientific warfare is simply torture. 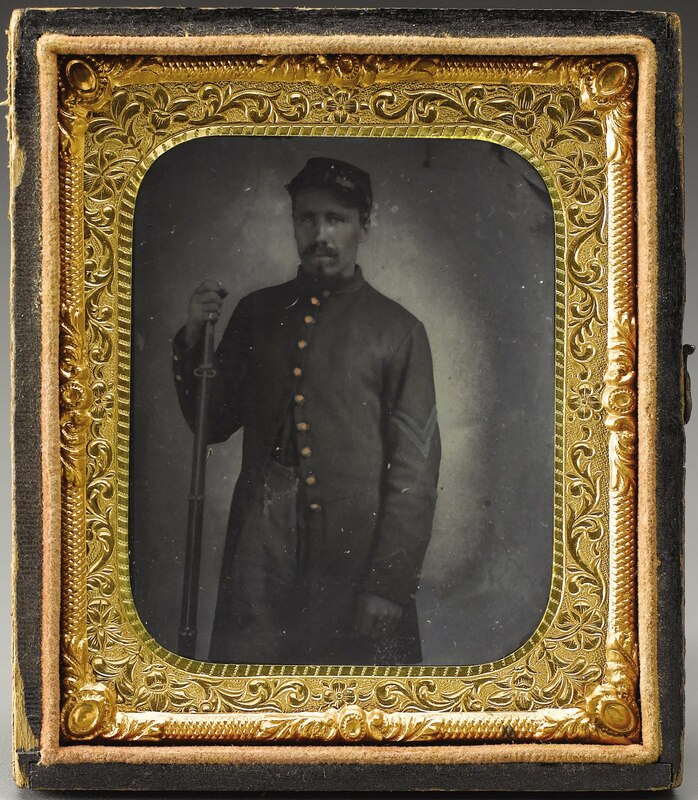 Corp. Mark Erb, Company G (1/2/1863) Erb is listed in the 1860 census as a 19 year-old laborer on the farm of Emanuel Landis near Soudersburg, East Lampeter Township. Pvt. John Shroy, Company A (1/3/1863) John F. Shroy is listed in the 1860 census as a 16 year-old plasterer living with Samuel and Elizabeth Shroy (presumably his parents) in Lancaster Township.